I'll throw this in for a comparison. I'm on Mint 13 KDE 64 bit now. Total mem use now is 965 Mb. I did run Cinnamon 32 bit and it used 200-300 Mb less total, but that was on my old rig also with only 1 Gb ram and Cinnamon commonly used 150-170 Mb. Now on KDE I see processes for Plasma desktop- 85 Mb, Kwin 40 Mb, and xorg 40 Mb, all rounded up numbers. Not much difference in total unless I'm missing something. I thought 64 bit used more anyway. I much prefer KDE over Cinnamon. Cinnamon RAM usage has decreased even more in 1.6 compared to the default 1.4 version of Mint 13. If you are worried about your RAM usage please upgrade: http://blog.linuxmint.com/?p=2177. I gave my votes to Xfce and Other(for Enlightenment of course). I came to Mint for the Cinnamon which I thought to be a great way to deal with the direction that Gnome has taken. I had tried Xfce years ago - it was just horrid then and that impression stuck with me until I tried Mint Xfce - can't say that anything displeased me about it and found it was a great foundation for E17. Grabed E17 testing from Launchpad and plan to stick with it for a while. 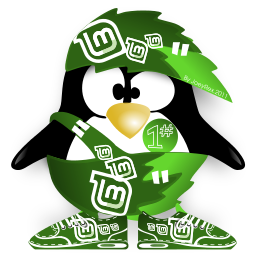 Runaway1956 wrote: Unfortunately - the Linux world isn't doing enough work on the lightweights. My very favorite DE is Enlightenment, but it's been stuck at E17 for a long time. The wait is almost over - expect to hear about a release date announcement at the LinuxCon Europe soon. I prefer Cinnamon over the other options I've tried lately. I did use KDE quite some time ago, but it had some really weird graphical glitches so I quit using it. It turns out that it was a failing graphics card, but I never took the time to reinstall it. I do agree with cinnamon being very intuitive. I would definitely choose it over the other options for someone who is already familiar with windows and reluctant to try something new. I'm running Cinnamon, this is my first day using it and I really like it, but still I do miss the Gnome 2.x experience (namely the easibility and options in theme settings) These themes are okay, but I can't find any way to really change the appearance of windows. All the windows stay bright white and gives me a headache, the only thing that changes with themes now is the menu panel. registereduser wrote: I'm running Cinnamon, this is my first day using it and I really like it, but still I do miss the Gnome 2.x experience (namely the easibility and options in theme settings) These themes are okay, but I can't find any way to really change the appearance of windows. All the windows stay bright white and gives me a headache, the only thing that changes with themes now is the menu panel. Changing Cinnamon theme only affects the shell, i.e. panels and panel popups and overviews. To change window theme you choose Other Settings under the theme tab and select "gtk+ theme" (windows proper) and "window theme" (titlebar, window borders). This is - for a newcomer - counter-intuitive and clumsily organized and you are far from the first to be frustrated, but clem doesn't recognize it as an issue. It would be very simple to arrange theme handling in a more sensible way. I use Mate 1.4, on Maya. I've been using Mint since version 5, with the Gnome 2 desktop. I've tried Maya with KDE and Cinnamon but my unfamiliarity with these desktop environments pushes me back to Mate. I just downloaded the Mint user guide but found it's specific to Mate. For me it's Cinnamon all the way. Xfce is a distant second. I've set the top panel to autohide in Mate, it's very feature rich with the classic gnome triple menu about in the middle, a redundant desktop switcher, applets, and a shortcut area on the left with some others where it's nice to have them. It's so nice to bump the mouse all the way up and launch a music player in one clic or have a look at system temperature, weather, date, volume control etc. So in my opinion Mate is easily the best in the Gnome 2/Xfce/LXDE family. Before that, I was on LXDE and Transmission would open Caja instead of pcmanfm. So in linux I have trouble with what the default file manager is and how various programs obey the setting. bigj231 wrote: I prefer Cinnamon over the other options I've tried lately. I did use KDE quite some time ago, but it had some really weird graphical glitches so I quit using it. It turns out that it was a failing graphics card, but I never took the time to reinstall it. I do agree with cinnamon being very intuitive. I would definitely choose it over the other options for someone who is already familiar with windows and reluctant to try something new. I had it drop me in a gnome 3 fallback desktop with no warning, even though I have a nvidia card with proprietary driver. The fallback desktop is decent looking, though crippled. I didn't fight my way to understand what was wrong and how to fix it. Especially as each time I changed desktop, the login manager (mdm) would play a login sound, at 100% volume on my amplifier that is also set at 100% (it's a 2x12 watt one). I let you imagine the surprise, and the sound pressure level (the sound card can have a powerful output). Neighbors must have heard it in a 100m radius. It's a funny bug (or, an intended behavior going wrong). My favourite DE is Gnome Shell. I started using Linux with Mint 12 and since then, i fall in love with Gnome Shell. I have tried various other DE. Cinnamon, Openbox, Gnome2 are outdated in matter of looks and are for old school people. Whether you agree or not, Cinnamon looks somewhat like Windows XP like start menu, bottom panel, blotted with notification icons and ugly frustrating looks. LXDE and XFCE are better than previous ones but far behind the Look and Ease of Gnome Shell. I found nothing like many users say that Gnome Shell is not easy to use and its limited functionality affects work output, etc. It has some brilliant features like hot corner, dash, overview combined with Elegant looks which made the work quite easy. With the use of Extensions and Gnome Tweak Tool, it can be made to work in desired way. Its is somewhat different than traditional way of working but once get used to it, it's AWESOME. Gnome Shell is certainly a work of art, and I'm done with the hate, it's a better sell than most geeky window managers. Long and wandering experience with software - since Fortran in 1965, but mostly as a Windows user (no longer programmer) since 1986. Retired teacher, living very remotely, and recovering from a failed HDD that ran XP-Pro. Using old laptop and external backup to access and load Mint Maya Mate with no hassles on the new HDD. It feels strange to not be immediately familiar with what's where... but this OS is similar enough - and I no longer need all the bells and whistles of years past. I DO AGREE that speed and clean efficiency is lost as people tweak - especially if some would wanna be Windows. Best not to go there, or have major reason for adding some functionality. This OS is sweet... and I look to gain expertise - though much time now spent growing our own veggies. Life changes lead to priority changes. I'll try to assist, but it may take me awhile to get to that level. Appreciate the forum and look forward to learning a lot from you - who've been using/ supporting the system it now is. Clem I regard MATE & KDE the best DE's because they have PERSISTENT SETTINGS! Speaking as a laptop user there is nothing more tedious than having to reset my sound back to an audible volume & reset my screen brightness back to a non blinding level every single time I have to login. MATE beats KDE in resource usage & the Mint MATE edition is beautifully crafted so for me it's no contest - MATE. Once I tried LM13 KDE I never went back, I like to have control of my Desktop environment and tweak the little details of how my OS looks and feels and KDE is the way to go, it's just amazing how customizable it is, heaven really. Beautiful Desktop effects, multi monitor support works tremendously well, each with their wallpaper slideshow settings and with multi desktops, I find myself drooling just staring at the screens! Amazing job! You have to invest a bit of time in it to make it do what you want, extremely rewarding if you do so. Out of the box it is quite good as well, as it is customization heaven you can make it as simple or as complex as you want it to be, still it has loads of options that might alienate new users with so many different settings. I am the kind of person that prefers to have the option than not having one. My preferred Desktop is Enlightenment but MATE seems to work well. Gnome Shell is completely unusable and was my main reason for abandoning Red Hat that I have been using since 1995/96. Just came from Mint 9 (Isadora) to Mint 13 Mate, just love it and use it for 80% of my tasks now. I am using KDE but now I am going to switch and try Cinnamon (14 RC). I have chosen to do this because of the progress being made or at least stated. Linux Mint is my favorite and I hope Cinnamon works well.